Many people start blogging and end up creating a full time income stream. I know of bloggers that are earning from 2K - 30K a month with their blogs... and you can too. You can blog about all sorts of things, could be a hobby or work related. Maybe you have a new puppy or a family and want to publish your adventures with these. Maybe your a creative being and love learning new skills. You can be as creative as you like with your Blog... it's all yours. Meet other bloggers, swap ideas and knowledge. Disclaimer :- Please note that this post does contain affiliate links and if a purchase is made through our link we get a small commission. Any mention of a product or service is supplied for information purposes only. Now, let's not beat around the bush blogging is hard work especially if you want to make it a full time income stream. But can you do it ? With hard work dedication and some simple strategies in place, YES YOU CAN! I started my blogging journey because I wanted to help others be successful online, but your reason why will be totally different, maybe you have a hobby or craft you want to blog about. Your a start a home Mom or Dad and want to meet others in your same situation. It doesn't matter what it is blogging is a way to have your voice heard. 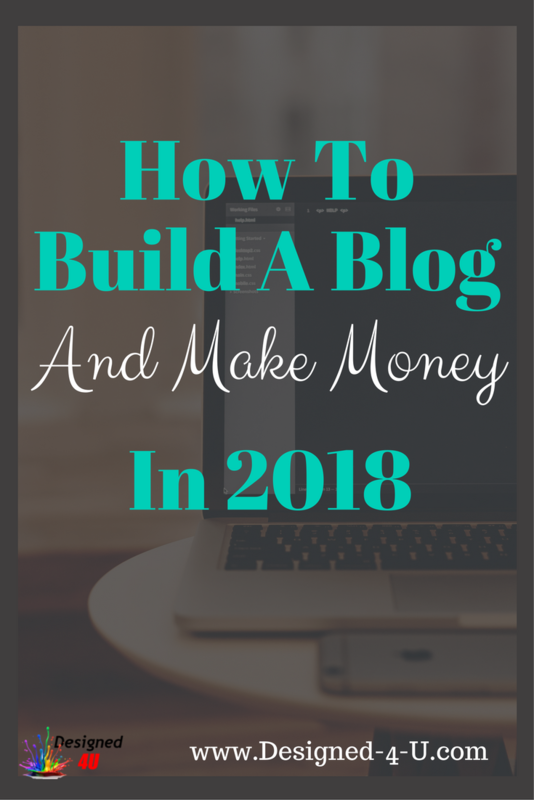 Once your blog is up and running you can easily start making money from it. Just follow this article and you can be up and running in no time at all. I am talking hours not days here! Look at what Anil, Matthew and Michelle earn't in just one month.... what will you earn ? There's two things to take into consideration when looking at blogging. What are you passionate about? What could you talk about and still be chatting in 5 years time? The other things is are people going to be willing to pay money for your knowledge and information. The quickest way to check the second one is to see if there are bloggers out there already making money in your niche. Just go to Google and type in your "keyword" then followed by the word "blog". For example if you were Vegan and loved creating new recipes just type "Vegan Blog" or "Vegan Recipes Blog". Once you have ticked both these boxes BINGO! you are set to go you can start your blog now. Where Do I Create My Blog? Compared to other small business set ups blogging is by far the best value for money, for about $5 a month you can get your blog up and generating income for you. You can use a blogging platform like "Blogger or WordPress.com" although very good for hobbies they are not what I recommend to create a great lifestyle business and that's what you want to do right! I would recommend using WordPress.Org and Siteground as your blogging platform. When you build your blog you want to have as much control over it as you can, including monetising it. This has to be one of your primary goals when starting this blogging journey. WordPress.com is free but comes with limitations and conditions to justify the free site they will place ads on your site, and these could detract from your brand. With a self hosted blog using WordPress.org and Siteground have have control and can put the ads you want on your site enhancing it and your brand. 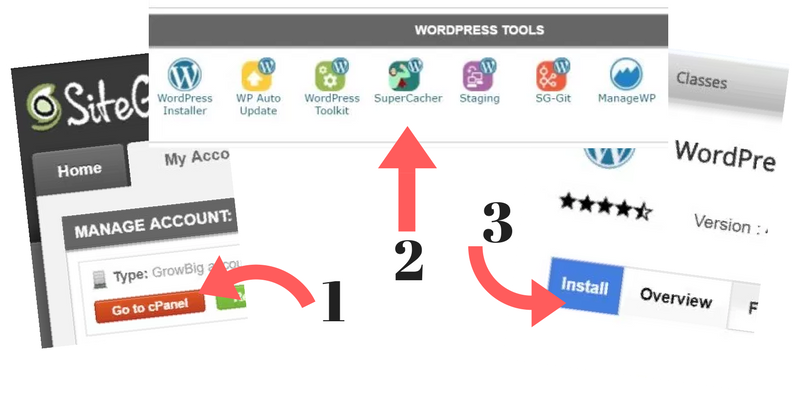 Finally, on the free WordPress.com you can't re design your blog or add plugins, which you will discover, will take your blog to the highest level. And here's the BIG ONE if you violate any T's & C's they could just remove your site without warning. So, for complete control over your blog and the ability to customise and monetise it, you MUST self host using WordPress.org and Siteground. There's nothing worse than spending hours creating your content on your blog and then your site can't be found. Siteground pride themselves with an amazing uptime of 99.99% they have been able to do this by creating numerous data centres around the globe. These keep your site up and at top speed. 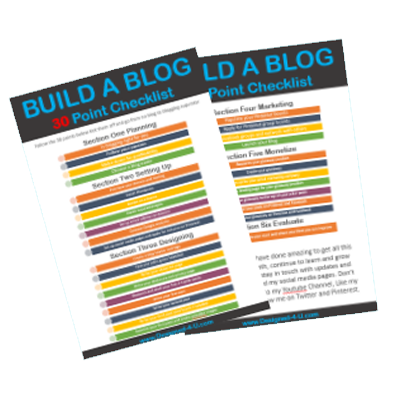 All you have to do is keep blogging. And if you do get an issue Siteground support staff are there to help, you can use their online chat facility or even phone them directly, even if you have to raise a support ticket they reply within 10 minutes. This is definitely what you need especially when you first start out as things will be new to you, but even more importantly when you have your blog making you money every month. Decide what your blog is going to be about, choose a passion that you could write about for years to come. Remember this could be a full time income stream for you and you don't what to be limited by running out of things to write about. It could be a hobby, an interest or even work related YES some people actually love there work but hate the commute. Just be sure to check if there's a market for your passion, are people looking for solutions to problems. Once you have your blog niche all sorted then it's time to get your domain name. Various things to bare in mind. You could choose one to include your name something like matthewwoodward.co.uk especially if you are branding yourself. Keywords are always good take socialmediaexaminer.com. Make it easy to remember and spell... don't be too clever! Don't over think this part you can always change at the later date I have changed mine a couple of times before settling on Designed-4-u.com. It's not a problem either with Siteground Grow Big Package you can have unlimited websites. 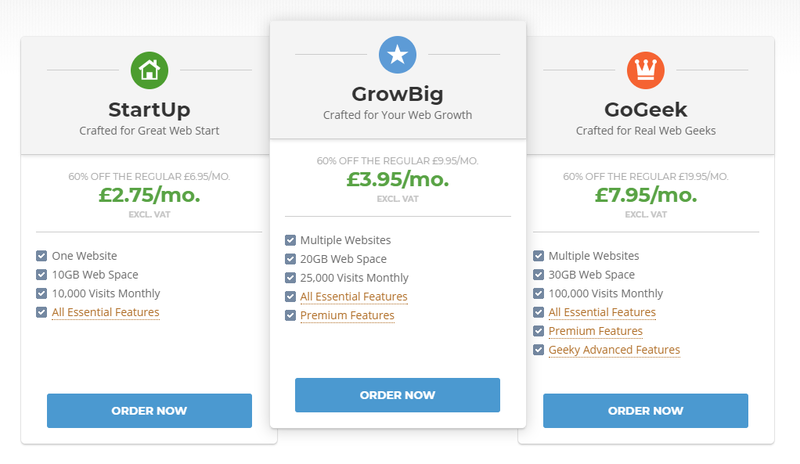 By choosing The Grow Big Package you will also get priority support (although they are lightning quick anyway) and super cacher which means your site will super quick... plus remember on all packages you get your 30 days money back offer and you can transfer from another hosting company for free. After ordering you will be asked to add your existing domain or get one.... if you get a new one then a few additional questions will need to be answered... not difficult and takes a few seconds. To save time or if you are unsure what to do Go here and then click on the live support and they will be happy to walk you through the whole process and get you started. Ask the support rep to send you your login details once they have completed the process. Should only take about 15-20 minutes. Your login page link will look like this www.MYBLOGNAME.com/wp-admin from there use the login details you have used to set up the account, these should be emailed to you too. Print this information off and save to a folder in your email. 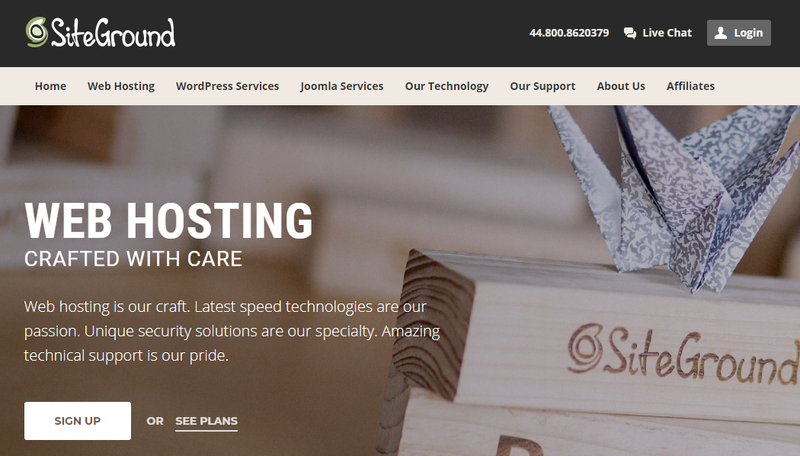 If you are doing the process yourself then the next step is to install your WordPress on your hosting by using your CPanel. Sounds technical but really just a couple of clicks. Choose Domain: select your domain name. If you have more than one with your hosting then make a selection from the drop down. Site Description: choose a site description, you can change this later. Admin Username and Password: decide on an admin username and password. You will use these when you login to the backend of your blog. Write them down for safety! Admin Email: use an email that can be easily accessed. Install A Theme: WordPress will pre-install a theme for you, but you can choose a different one. I use the drag and drop plugin Thrive Architect to build all my pages and posts and it works with any theme too. There's a very quick overview of Thrive Architect. Now you can login to your WordPress dashboard and start to customise your blog. For guidance around the dashboard here's 21 videos I have recorded to help you. Before you start on your first post you need to complete your about page and a disclosure page plus add a way for your audience to contact you. Traffic is very simple to achieve but most people get this wrong and struggle. The secret is find out where your ideal reader is hanging out online... could it be Facebook, Twitter, Youtube or even Pinterest. Maybe they are chatting in forums. Do some investigation see where other bloggers in your niche are hanging out. Once you have located this then connect with others, help others out and after a while direct people back to your articles. I use a combination of Youtube, Twitter and Pinterest and get a steady flow of traffic from all of them. A great one to start with is Pinterest see how I got a 1700% increase on impressions in a few days. Affiliate products - selling other peoples products for a commission. These can range for 5% up to 50%. Advertising - advertising products and getting paid for directing people to possibly purchase. Sponsored Posts - companies pay you to feature their product or service. Your Own Products & Services - sell your own products or services. 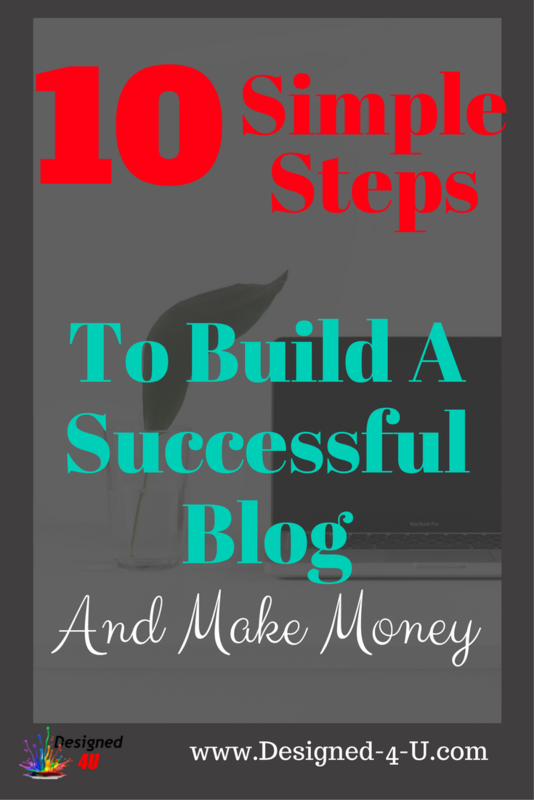 As you progress you will probably use all these methods just like the top bloggers and earn huge amounts every month. Don't be daunted by this. Start with Affiliate Products and / or Advertising these can earn you money from day one. To help you succeed and make money start to build an email list where you can build trust with your followers. This is a proven way of generating more income. Sometimes the hardest thing is to keep going. All I can say is the rewards are amazing.